My father recently reminded me of a story from my childhood. I had taken some new handsewn thing to elementary school, and a classmate admired it. “Why don’t you have your dad make one for you?” I asked. I don’t know how my parents heard this story, because I didn’t think anything of it. To me, sewing was Dad’s job. 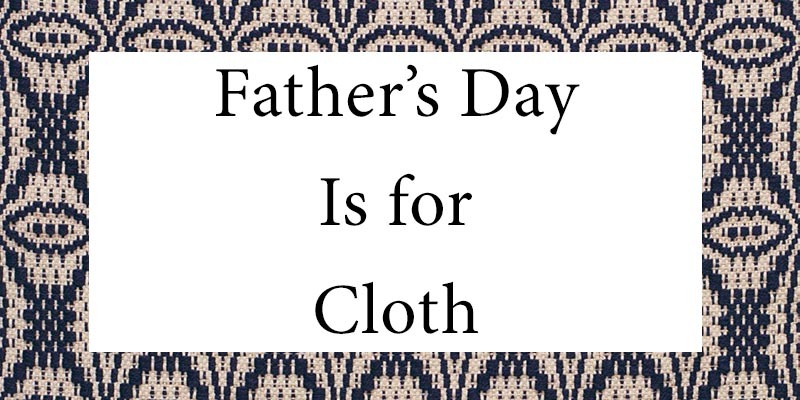 On Father’s Day, I remember how I learned about cloth from my dad. We may think of textiles as largely women’s work, but in my family, my father has been the one with the thread and yarn. 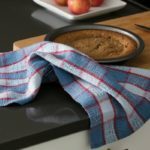 My mother sewed and knitted long before I was born, but my father has made new clothes and curtains, mended, made rugs, and more. He inherited both his grandmothers’ sewing machines. He took up sewing for practical, frugal reasons, but his love of all things Colonial American led him to weaving. Somewhere in my childhood home is a small sample of overshot that Dad wove, and when I was young, an old barn loom sat in the hall outside my bedroom. One family vacation took us to Prince Edward Island, where we acquired another 19th-century loom. I can’t recall him ever weaving, but before I was born he and my mother took lessons from an older weaver in eastern Connecticut. When she retired, they bought two spinning wheels from her, a great wheel and an antique flax wheel. Wait, which kind of spinning are you doing? Later, as a young woman working in New York, I took up spinning (the bicycle kind) at the gym. My parents were puzzled why they’d offer spinning classes at a gym but helpfully offered me the flax wheel, which is sitting in the attic at home (as it has for over 40 years). I laughed with a feeling of superiority. Little did I know. My father is handy with a hammer and a shuttle. Photo by Susan Merrow. The old looms have been disassembled for some time, though I believe my parents still own at least one. 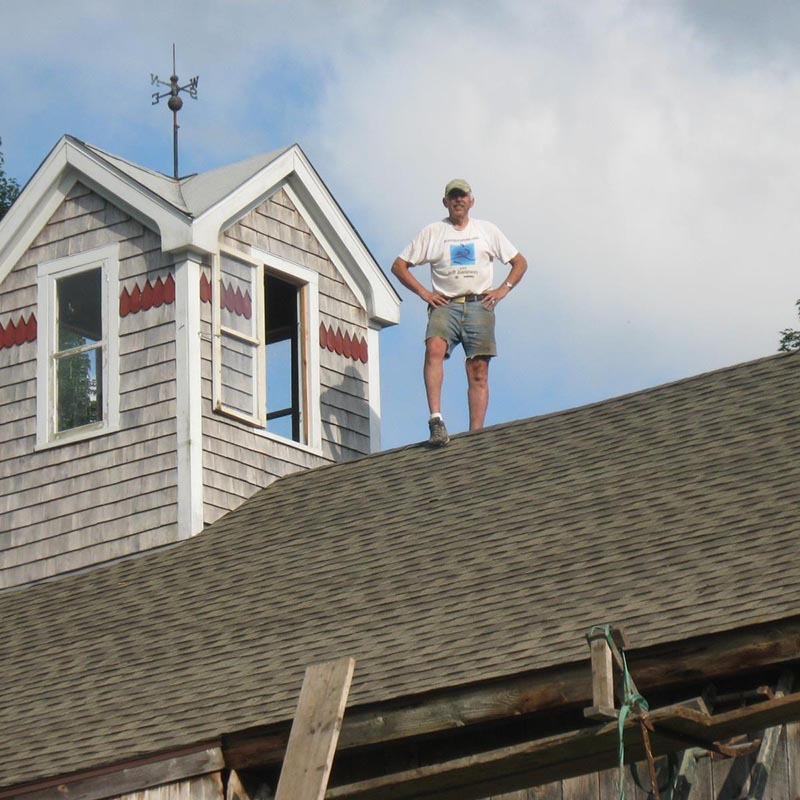 I have an idea that when my father gets older and can’t climb up on the roof to reshingle any more, I’ll buy him a small 8-shaft loom, enough to weave summer and winter or overshot.